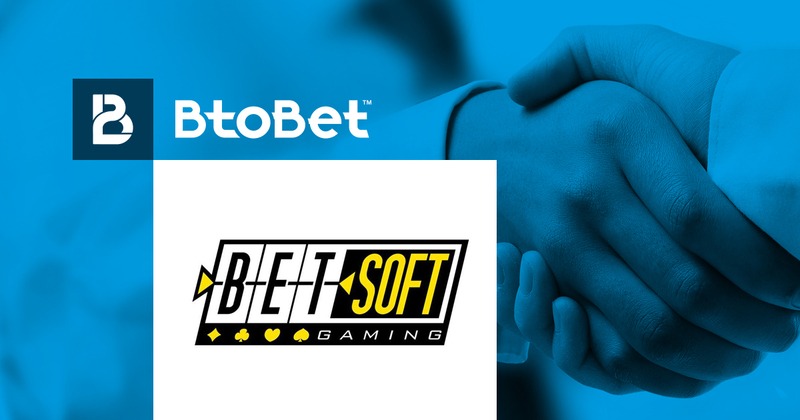 Visionary iGaming developer Betsoft Gaming, architects of the Shift™ platform, have announced that they have signed a partnership deal with renowned worldwide software provider BtoBet. Under the terms of the partnership, BtoBet will be taking on Betsoft’s complete suite of iGaming entertainment, including the iconic Slots3™ collection of true 3D video slots and the ToGo™ line of premium mobile gaming. The target markets are Africa, Europe, and Latin America. BtoBet have recently won as “Rising star in Sports Betting Innovation” at the SBC Award in London and as “Best Sports Betting Innovation 2017” in Budapest. “I’m proud of the recent agreement signed with Betsoft,” said Alessandro Fried, BtoBet’s chairman. “Its high level digital games combined with BtoBet’s technological platform will perfectly fit our exigent clients’ needs and, at the same time, their players’ expectations. “All Betsoft ‘s integrated games will be managed by our clever Artificial Intelligence learning machine, providing a real time and accurate data analysis per each customer in order for the operator to automatically segment the players’ base and to build easily the best strategies, specific promotional activities and more effective ad hoc marketing campaigns,” continued Mr. Fried. Betsoft Gaming, broadly known as the innovator and leader of true 3D cinematic gaming, is a Tier One developer and provider of complete system online gaming software. With a game library of over 190 games including the iconic Slots3™ series, Betsoft Gaming has met and exceeded the quality found in console video games and animated feature films. Starting in 2012, Betsoft initiated a concentrated push into the mobile gaming sector, converting their popular Slots3™ games to be available as the ToGo™ collection. Betsoft Gaming’s extensive portfolio of clients includes some of the top gaming operations in the industry. For marketing or press queries, please contact press@betsoft.com or visit www.betsoft.com.